April 15, 2019 - Bachelor Parties, Bachelorette Parties, Cool Things About Rochester Tours, Private Pub Crawl, Social Mixers. The weather seems like it is finally breaking for the Rochester, NY area, which is a great thing for us here at Rochester Pedal Tours. Once the weather starts getting nice in Rochester, everyone starts to get out and go to festivals, breweries, art shows, concerts, etc. What better way to get around and enjoy some of the local festivals with a pedal tour. Rochester, NY provides locals with some amazing outdoor activities for people around the area to enjoy. Here are a couple upcoming events that may be good for booking a pedal tour. Rochester Taco & Margarita Festival | Cinco de Mayo is a bar hop/food festival happening Saturday May 4, 2019. This is the first year for the festival, and it might be a good idea to get out on a pedal tour before and make a day of it. Rochester Real Beer Expo is the 9th annual beer street party with over 120 craft beers to taste from. This will take place on Saturday June 8, 2019 from 6-10pm. A Pedal tour before attending the festival is a great idea to make the entire Saturday a beer-filled adventure. 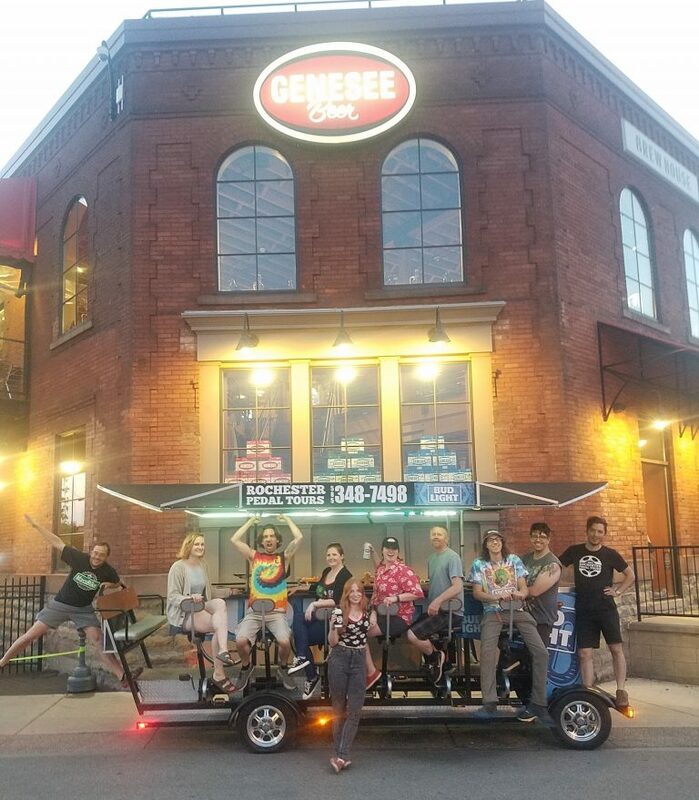 Rochester is filled with summer activities, and one of the best things to do with your friends and family is to take a Pedal tour with Rochester Pedal Tours. We provide many types of tours, which include brewery tours, bar crawls, bachelor/bachelorette parties, social mixers, and more! We also have recently new 18-person cycle boat and a floating tiki bar that travels down the Genesse River. Just like the bike tours, you will bring your own drinks and food for the tour. There will also be restaurants and bars to hang out at before and after your tour. If you’re looking for some nice weather fun in Rochester, contact Rochester Pedal Tours at 585-348-7498.